We discovered THE furniture shop we both love yesterday!!! 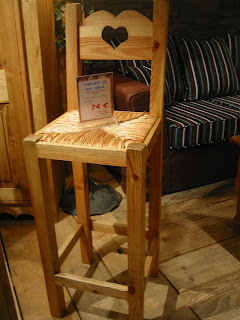 It was in Rennes and it's like the Ikea style but all of the furnitures are made by wood and they are not expensive!! Tks M for bringing me there. 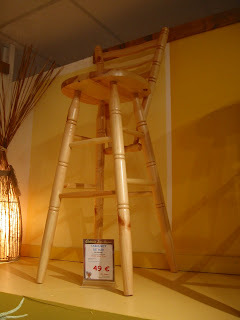 I started shopping for the bar chair but we will need to see how our apartment looks like after some small renovation. Not bad to have a library like this. Besides it will match with some of our living room furniture. Not bad at all to have bathtub like this.